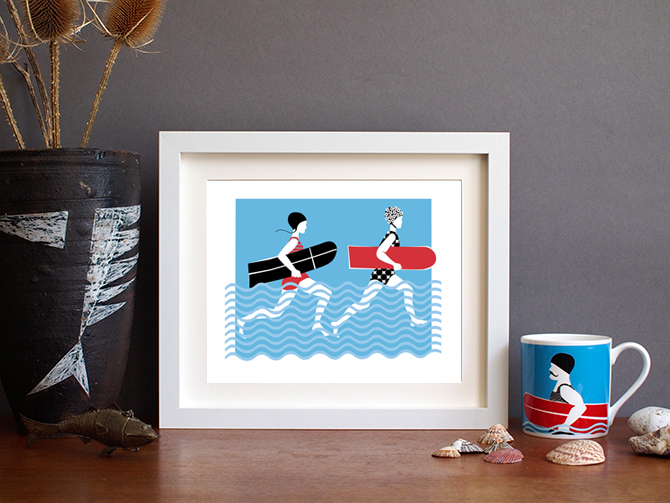 The Tamblyn Girls is a design from my Vintage Surf set of illustrations and is inspired by bellyboard surfing. 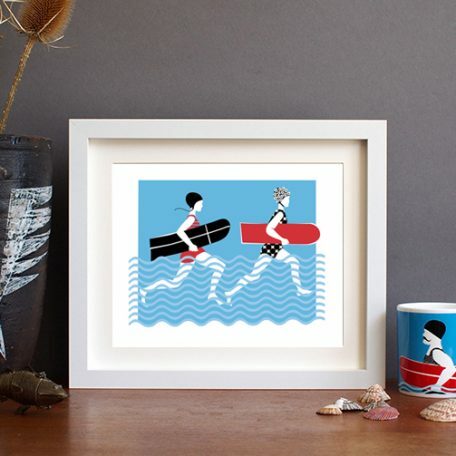 A couple of surf girls splashing into the water with their wooden belly boards. Printed on high quality etching paper 310gsm. Unframed and packaged in cellophane with a backing board. 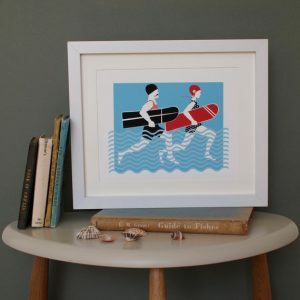 This print is a perfect gift for someone who loves the sea, and who loves to surf with wooden belly boards. 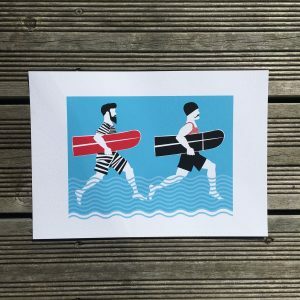 Do you remember learning to surf with a wooden board when you were growing up? Do you still have a wooden board in your garage? All images Copyright Alison Bick 2014.